As we celebrated National Agriculture Day this week, it made me think back to a trip I made to Washington D.C. in 2010. Touring Washington D.C. can be a great lesson on US History, if you take the time to take in the sites. We attended a USDA lockup in the Department of Agriculture building. There were older pictures hanging up in the Department of Agriculture building that have always stuck with me. I love this picture! 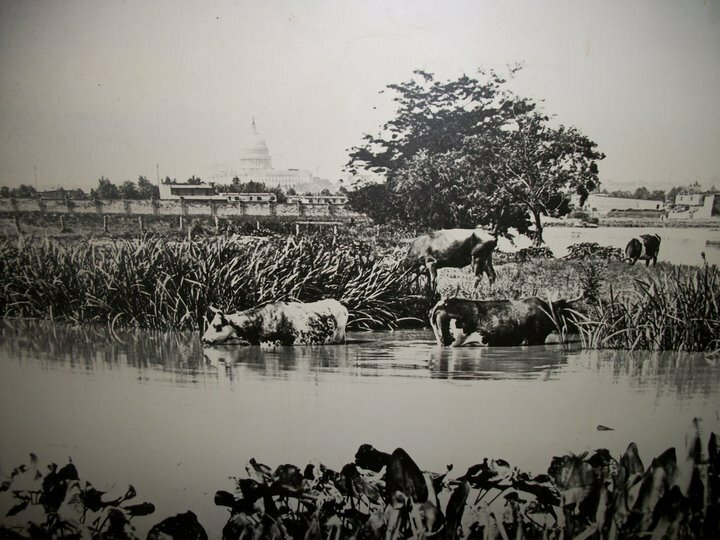 At that time, the area seemed more of a swamp area, and cattle around, with the Nation's Capital in the back ground. 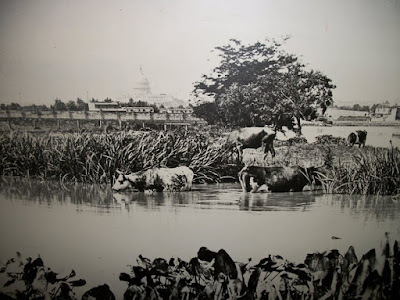 I bet it would be hard to find pasture in those areas today. The first masonic stone for the US Capital was laid on September 1793 by President George Washington. It was a large building to complete, and it passed through a few architect hands. The US Capital building was opened on November 17, 1800. 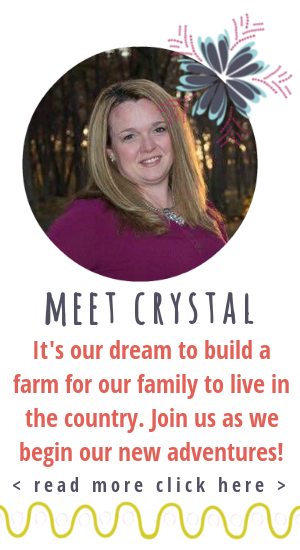 Not only do we celebrate National Agriculture Day this week, but also St. Patrick's Day. Even if you are not Irish, you have to at least appreciate the food that is served on this day as a tradition. The first thing that comes to mind is Corned Beef and Cabbage. We decided to make a special meal for the guys at work. We did cook the cabbage separately, because cabbage was not a crowd favorite around here. They were told they had to eat cabbage to get dessert, still didn't sway them to try the cabbage. 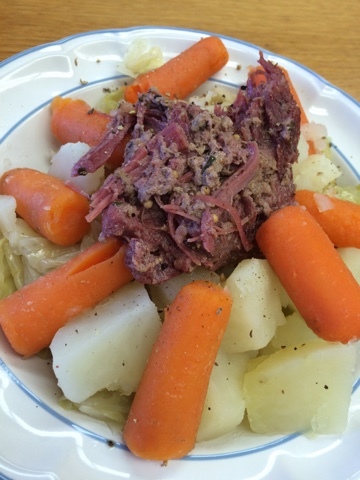 The corned beef was cooked all morning long on the stove. The carrots and potatoes were cooked separately. 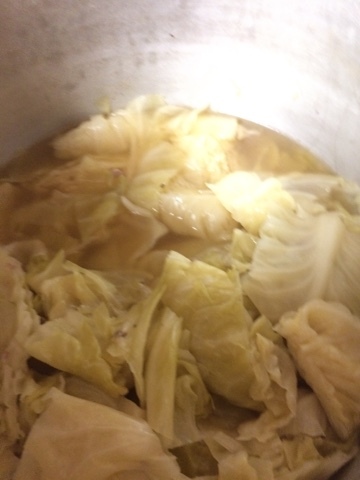 And of course, the cabbage was boiled in a separate pot. We try to keep everyone happy. The final result with everything together was delicious. Add corned beef, onion powder, sea salt, pepper, and garlic salt. Chop up 16 ounces of cabbage to add to boiling water until cooked down. 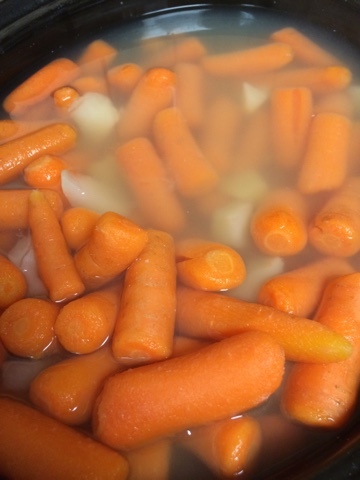 Add carrots and peeled and chopped potatoes to a separate pot of boiling water. 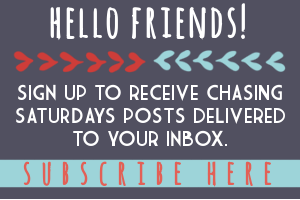 When the cabbage is starting to cook down, keep stirring occasionally. 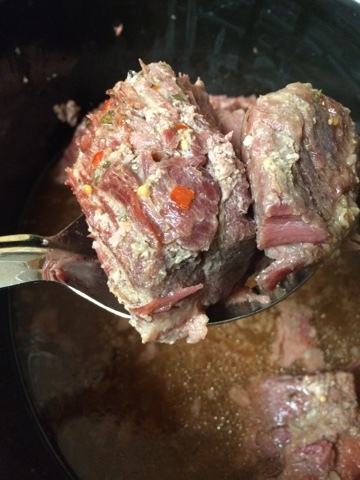 Add to corned beef if you prefer, or keep separate. Add some sea salt and pepper to season. Make sure to taste test, corned beef has plenty of seasonings.